Principals in Washington can’t hire enough special-education teachers. Here’s one reason why. The shortage, at least in Washington, seems to stem from a mismatch in the supply and demand of special-education teachers. When Jeffrey Engle’s wife recently changed careers to work as a special-education teacher in Puyallup, he wondered why her new salary didn’t reflect the 10 years of experience she had as a certified behavior analyst. She had spent that decade working with children with disabilities to plan their therapy programs. But when she asked about her starting pay in the classroom, Engle’s wife learned only past experience as a teacher counted toward her placement on the school district’s salary schedule. His wife’s experience prompted Engle to ask Education Lab and The Seattle Times why school districts in Washington don’t use more financial incentives to recruit and retain teachers who work with special-needs children. He specifically wondered whether any districts offer a higher salary, lower caseloads or loan-forgiveness programs to address the shortage of special-education teachers. In Washington, it’s difficult to quantify the exact scope of that shortage, but in 2016, principals identified special-education classrooms as the most challenging vacancies to fill each year. Across the United States, virtually every state and territory reported teacher shortages in special education, according to an Education Week analysis of federal data. In 2015, researchers with the University of Washington, Western Washington University and the American Institutes for Research in Seattle released a report that found the number of teachers trained in special education has remained basically flat over the past 20 years. While that limits the pool of candidates available to fill vacancies, the state also has trouble keeping teachers now working in the classroom: “For most of the past 25 years, (special-education) teachers are more likely to leave the workforce in Washington state than teachers in other areas,” the researchers wrote. Among their proposed solutions, the researchers suggested districts could offer different levels of pay for those hard-to-fill positions. But across Washington, there are few examples of districts taking that approach. Instead of higher pay, Campano said the union’s contract with Seattle Public Schools provides certain protections for special-education teachers, including the automatic assignment of support staff for teachers with higher caseloads and extra time to write individualized education programs for students with special needs. “Working conditions matter,” Campano said. Still, Seattle Public Schools, which started the past school year with 21 special-education vacancies, does provide a $500 annual stipend for new hires who agree to work in hard-to-fill positions, including special education. 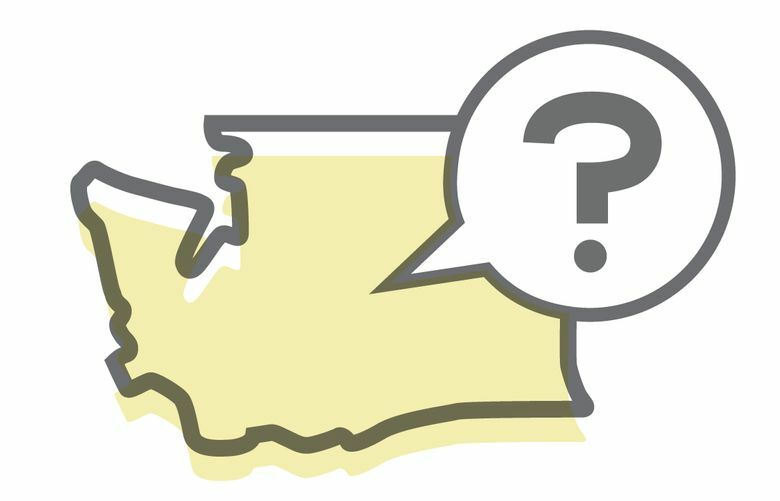 The Bethel School District, just south of Tacoma, offers a similar annual stipend for special-education teachers but increased the amount from $500 to $1,500 starting two years ago. In South King County, the Highline School District has considered a different approach to address the supply side of its teacher shortage. “We have a lot of paraeducators in our own district that have either bachelor’s degrees or (associate) degrees, and some of them have interest in becoming a teacher,” said Gaye Bungart, Highline’s director of special education. The district already runs a so-called “grow-your-own” teacher-training program that offers scholarships of up to $8,000 per year for bilingual paraeducators to earn their teaching certificates while working with a mentor teacher in the classroom. The future teachers also agree to work in a Washington school once they complete the program, or they must repay the scholarships. Bungart said she has been working with Central Washington University-Des Moines to debut a similar program this fall for special-education paraeducators who want to study at Highline College. This past year, state lawmakers introduced a bill that would have expanded such conditional-loan scholarship programs. The bill earned the support of the Washington State PTA but died in the state Senate, even after clearing the assembly with a near unanimous vote. “Maybe moving forward, we just ask to target these particular shortage areas, because we are critically short in special education,” said Nancy Chamberlain, legislative director for the Washington State PTA. But do one-time bonuses and loan programs even work? Yes, at least when it comes to retaining teachers in hard-to-fill positions, according to a study published this past year in the Journal of Policy Analysis and Management. In that study, researchers Li Feng and Tim Sass looked at a statewide program in Florida that offered retention bonuses to teachers working in shortage areas and who received a positive evaluation. The state also offered teachers up to $10,000 to repay their student loans over a four-year period, as Chalkbeat reported this past year. The researchers found that Florida’s loan forgiveness payments, when fully funded, reduced the attrition of special- education teachers by 12.3 percent. The one-time bonuses, meanwhile, helped reduce attrition in high-needs subjects with relatively modest payments of $500 to $1,000, but to get the same level of impact as the loan-forgiveness, the researchers suggested bonuses as high as $2,500. Many school districts outside of Washington have preferred the bonus option, including Palm Beach County in Florida, which offers up to $5,000 for teachers in qualifying subject areas. Denver Public Schools pays more than $2,500 for hard-to-staff assignments, and signing bonuses have grown in popularity among Atlanta-area districts in Georgia.